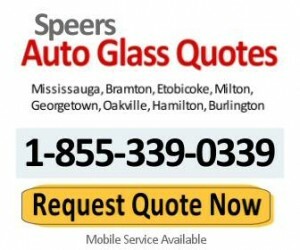 Speers Auto Glass Oakville serves clients from Oakville, Mississauga, Burlington, Hamilton and St. Catherines. Please let us know if you have insurance coverage, we pay 100% your insurance deductibles. Our shop is located at 281 Speers Road, Oakville, Ontario L6K2G1 (border of Oakville, Burlington, West Mississauga). We also provide mobile service to your home in Oakville, Burlington, Hamilton, Mississauga. 25 years of experience in Auto Glass Repair and Replacement! MOBILE AUTO GLASS SERVICE TO YOUR HOME OR WORK IS AVAILABLE 24/7. Located on the border of Oakville and Burlington on Speers Road, Speers Auto Glass Repair and Replacement Shop offers residents of Oakville with top quality auto glass services at highly competitive prices. With hundreds of satisfied clients we take service and quality very seriously. Working on your car we only use parts that are industry standard and trusted and work is done by experienced auto glass technicians. Our work therefore comes with LIFETIME WARRANTY. Speers Auto Glass works directly with the major insurance companies, we pay up to 100% your insurance deductibles and some of the work may be covered in part or full by our shop. 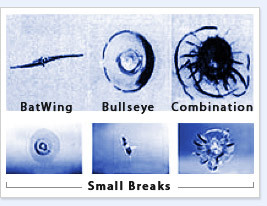 Very small chip damage to your windshield may be FREE to you and paid to us by the insurance, just ask. Our auto glass repair specialists can repair most rock chips and scratches with our state of the art auto glass repair technology. Please come to our shop for a quick assessment. We carry all makes and models of windshield in stock so your vehicle can be back on the road in no time and at the lowest possible cost. We can beat any quote - Just Ask! No obligation quotes. Just fill out our quote form and provide us with information about your car make, model, year and what is the service you require like windshield replacement or repair, side window, rear glass or even sunroof and we will reply promptly with a quote. We always want to hear from you and answer your questions, please do not hesitate to call us anytime. Emergency? call us 24/7 and we can also come to you, anywhere in Oakville, Burlington, Hamilton or Mississauga West. Just call and let us know the information we need in order to bring the right glass parts and equipment with us and a technician will be on the way immediately. Check our recent price promotions and auto glass coupons available to people from Mississauga to Oakville/Burlington and Hamilton area. Our auto glass specials and coupons include auto glass repair services now discounted with lifetime warranty and windshield (windscreen) replacement specials and coupons starting as low as $177 for replacing your auto glass windshield. Auto Glass repairs for many popular car makes and models start from the low $40 and please come in if you need us to repair stone chips, some may be 100% free for you and paid to us by the insurance instead. Just ask! Auto Glass Repair & Replacement Shop Serving Burlington, Oakville, Hamilton, Milton, Georgetown and Mississauga. Call Now 905.339.0339 or Toll free 1-855-339-0339 for the LOWEST quotes! Speers Auto Glass Repair and Replacement delivers fast, reliable and the most affordable auto glass repair services from our Oakville and Mississauga locations as well as mobile service and 24/7 emergency services. WE BEAT ANYONES PRICE QUOTE IN OAKVILLE, ANYDAY! Our shop is located at 281 Speers Rd, Oakville Ontario. We also serve nearby Burlington, Hamilton and Mississauga. PAID BY INSURANCE DIRECTLY - LEARN MORE! Looking for quality and in-stock glass for your car? We have the experience and training to repair or replace your windshield, sunroof and any other glass part in your car. Are you looking for a fast, reliable, affordable auto glass repair shop with mobile service and 24/7 emergency service in Oakville, Burlington, Hamilton, Mississauga and area? Are you looking for quality and in-stock glass for your car? We have the experience and training to repair or replace your windshield, sunroof and any other glass part in your car. Already got a quote, we will be happy to not only beat that quote sometimes even by 40%, but also to explain to you the work we recommend, if you also have insurance we can pay up to 100% your insurance deductible and have a clean and professional job done for you on same day so that your car glass will look like brand new from the shop...or better. The best auto glass shop in Oakville is the one that offers fast and superior service at the lower price. This is our business policy and you can ask anyone in and around Oakville about Speers Auto Glass, we are well known and much respected in our community. Please don't hesitate and call us anytime about any auto glass price quote you need as well as your concerns and requests for information about auto glass safety and the latest auto glass repair techniques in the market. Speers Auto Glass Repair and Replacement Shop located on the boarder of Oakville and Burlington Ontario offers professional windshield replacement and auto glass repair services to residents of Burlington at a convenient location and at the lowest possible price. Residents of Hamilton who need their windshield replaced, contact Speers Auto Glass and make sure to inform us in the quote form request or phone call that you are a resident of Hamilton for the lowest price quote along with excellent customer service, professional installation of a quality windshield using only high quality materials and warranty you can trust. Call or fill out a quote request right now! With our 24 Hour Mobile Auto Glass Burlington service we will come to your location and fix the glass on site, or come to us and enjoy free Wi-Fi Internet while you wait. We are 100% confident in the quality of our work and professionalism of our auto glass specialists so we offer you a Lifetime Warranty on auto glass leakage and workmanship. Insurance companies can be difficult to deal with, so our auto glass insurance clerk will take care of the entire insurance claims process for you.